Digitization is All the Rage, but What does It Really Mean in the Supply Chain? What Areas of Digitization have the Highest Priority? How is the Pipeline of Women in the Supply Chain Progressing? What supply chain related book published in 1984 was among the first if not the first to use the approach of "novelization" to teach business concepts? Last week as usual at the start of each year ran a summary of supply chain predictions for 2016 from this year's virtual panel of supply chain experts (see Supply Chain Predictions from Our Guru Panel 2016.) Once again this year, we follow that column up with the a few highlights from key supply chain analysts, notably Gartner and IDC Manufacturing Insights. Gartner again had three sets of supply chain-related "predicts" this year: global logistics, supply chain planning, and predictions for chief supply chain officers, though as always these predictions are more future-oriented than just what is going to happen in 2016. "Gartner expects that by 2020, over 90% of spending on supply chain execution systems will be for Cloud-based solutions." One is that by 2019, global, publicly held manufacturers and retailers will double the amount of content dedicated to explaining supply-chain-organization-based environmental, social and corporate governance (ESG)-related risks in their annual reports. Gartner cites some examples of forces driving this trend. For example, the non-profit Sustainability Accounting Standards Board recently launched a major campaign to incorporate a standard set of non-financial, industry-specific performance indicators into SEC 10-K filings. Gartner also says that "Stock exchanges worldwide are uniting to pressure listed companies to make more sustainability-related information available to investors," and as a near-term example of that, EU member states have until December 2016 to create national legislation that requires companies to disclose non-financial sustainability and diversity information. As a result, "supply chain organizations should expect to become a bigger part of their company's investor relations programs" Gartner predicts - which has both positive and in some cases negative ramifications, in my view. Gartner, not surprisingly, expects consumer goods-related companies to get the most scrutiny in terms of public filings. Can more women in supply chain provide part of answer to the expected "talent crisis" in supply chain? Maybe so. On the global logistics front, Gartner expects that by 2020, 80% of organizations "will fail to contractually accommodate the looming 3PL power shift." Driving that shift will be continuing industry consolidation, with Gartner predicting that the top 10 global 3PLs will control an amazing 80% of the world's logistics volume by 2020. That would be quite a market development if accurate. In the recent past, shippers had a big edge amidst furious 3PL competition, and 3PLs would often fall over backward to win deals, and frequently providing services at a loss, Gartner says. But the on-going consolidation of power now "allows 3PLs to be increasingly selective when choosing the companies with which they do business," Gartner says. The supply of 3PLs is decreasing, and demand is increasing. As that change progresses, 3PL providers will be in a position to be a lot more choosy about which companies - and contracts - they will accept. Gartner cites the example of the one of the largest European 3PLs that says it now rejects around 60% of the requests for quotes that it receives. Assuming this prediction is accurate, it seems to me it means logistics will be headed up. How could they not be if the balance of power swings to large, global 3PLs? Gartner does note that 3PLs may be more receptive to aggressive cost reductions in return for commitments for revenue growth - though that dynamic has largely always been in place. Gartner also predicts that the 3PL market of the future will be made up of a small group of big operators with global reach and international skills that will dominate worldwide logistics, supported by niche players that will often end up working for the global 3PLs. That means there will be limited room for mid-size 3PL generalists. Gartner also has a prediction relevant to Cloud-based supply chain software, saying it expects that by 2020, over 90% of spending on supply chain execution systems will be for Cloud-based solutions. That would mean that virtually all supply chain execution software (generally thought to include TMS, WMS, Global Trade Management, visibility and more, but not planning systems) will run in the Cloud. I agree - it is a megatrend. "Initial concerns about security, response time and service availability have diminished significantly for many organizations, as Cloud business and computing models have matured and adoption has become more widespread," Gartner says. It adds that replacement of old enterprise software systems for Cloud-based technology "is starting to accelerate." On supply chain planning, I think I will just list some of the Gartner predictions,which include that "By 2018, 80% of organizations will conclude that their current descriptive analytics solutions will not support their supply chain realities." This means adoption instead of so-called predictive and prescriptive analytics, beyond backward looking "scorecards." There is some level of hype relative to the topic right now, but there is no denying the trend of increasingly advanced analytics, paired often with "machine learning" to get smarter over time. Gartner also believes that "By 2018, 85% of companies will deploy a single global instance of Sales & Operations Planning (S&OP) technology to support their maturing S&OP capabilities across multiple business units." 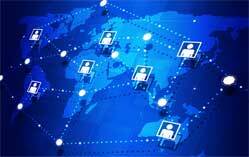 Today, S&OP process support software is generally deployed locally. Naturally enough, Cloud-based systems will lead this drive towards a single global system across geographies and business units. Finally, Gartner says that "By 2018, 25% of companies will have deployed demand-sensing and short-term response planning technologies to enable responsive supply chains." I have no idea if this is right, but as useful as this category of software has been for some companies, I have never quite understood why it isn't just common practice to look at where demand is trending right now to adjust short-term forecasts and execution .Shouldn't that be a core principle of a demand-driven supply chain? Switching horses, let's take a look at some of the supply chain predictions from Simon Ellis and the other supply chain analysts at IDC Manufacturing Insights. On a somewhat similar track to that last Gartner prediction, IDC says that "By the end of 2019, enterprise-wide improvements in resiliency and visibility will have rendered short-term forecasting moot for 50% of all consumer products manufacturers and 25% of all others." IDC says that manufacturing supply chains are likely in effect to throw in the towel in terms of short-term forecasting, and many "have accepted that future demand planning may never achieve historical levels simply because of higher inherent demand volatility." It adds that "As demand-sensing capabilities become more useful and ubiquitous, and as the ability to quickly see and respond to business changes, short-term forecasting is likely to go the way of the dodo bird," IDC opines, saying that a growing number of companies will eschew short-term demand forecasts completely. IDC also predicts that "By the end of 2018, 25% of manufacturers will have implemented a micro-logistics strategy within part or all of their business to support a more distributed inventory management strategy." What on earth is a "micro-logistics" strategy? IDC says it involves "a more customer-centric approach to fulfillment," with a "more distributed fulfillment network in order to better position inventory to drive rapid delivery and responsiveness into the supply chain," in large part by operating a greater number of smaller, regionally specific distribution centers." Well, that certainly is where Amazon is headed. Will manufacturers embrace that strategy too? It is "important to recognize that most manufacturers will use partners rather than own facilities themselves. It is also likely that new business models will play a role here, with dynamic provisioning (think "uber" for fulfillment) a distinct possibility," IDC says. I obviously had to greatly pare all this way back. If you are a Gartner and/or IDC client, I encourage you to read the full predictions. Would be interested to know which of these most resonated to you. What's your take on these analyst predictions? Which ones ring most true? What predictions for 2016 would you add? Let us know your thoughts at the Feedback button (email) or section (web form) below. Just catching up on some miscellaneous Feedback this week, including our Feedack of the Week from Steve Wilson of Tompkins International, on our First Thoughts column on how Amazon's stock price may have a huge impact on the future of eCommerce. Also some comments on our review of 2015 in numbers and charts. My commodities trading buddies think we are in a pricing freefall, but my clients are gagging on rate increases associated with rent increases, and my retail clients can''t accept the reality of the impact of 200%+ turnover in hourly material handler ranks who typically earn in the $10-11 per hour range. Q: What supply chain related book published in 1984 was among the first if not the first to use the approach of "novelization" to teach business concepts? A: "The Goal," by Eli Goldratt; the technique has been used hundreds of times by others since then.